When it comes to finding free screen recorders on Windows 10, the Internet would never disappoint you. It is just a matter of few clicks. However, here is the glitch: though you would find numerous software for screen recording, finding a completely free screen recorder can be a challenging task. While searching for the top free screen recorders for Windows 10, we stumbled upon numerous software. Among so many, we have picked top 5 screen recorders for Windows 10 and now we are going to discuss the pros and cons of each one. So, let's get started. 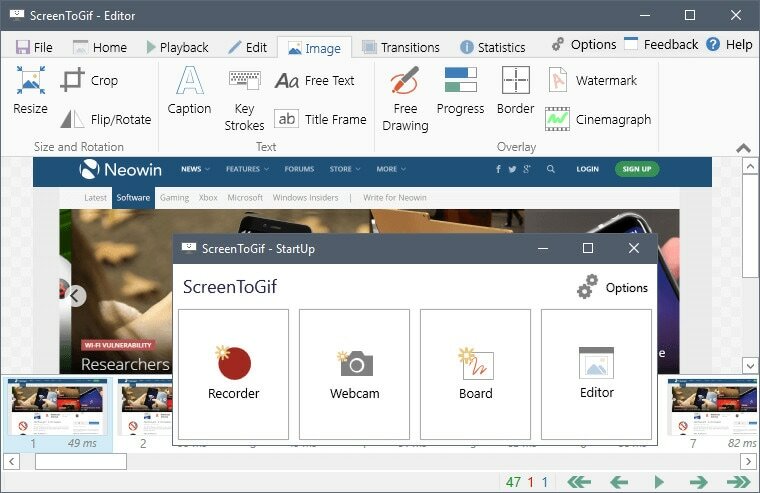 Powered by Slant community, ScreenToGif is a free screen recorder on Windows 10 with an integrated editor. It’s open source and available as a portable bundle and thus you do not need to install it on your PC, which solves the problems with slowed down performance because of heavy software being installed . 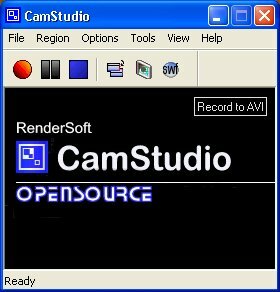 With CamStudio, you can easily record screen on Windows 10 as well as audio activity that is going on your computer and prepare a high quality AVI video files. Moreover, by using the built-in SWF Producer, you can easily turn the AVIs into mean, lean and bandwidth compatible Streaming Flash videos or SWFs. You can use this software to create various types of demonstration videos for software programs. Also, this software can be used to create a video to answer the FAQs in a video format. Videos can be recorded for school and college tutorials. CamStudio also has the facility to add the finest quality, anti-aliased screen captions to the recordings in no time. Also, with its feature of Video Annotation, the videos can be personalized by including a small webcam movie of yours as Picture in Picture. 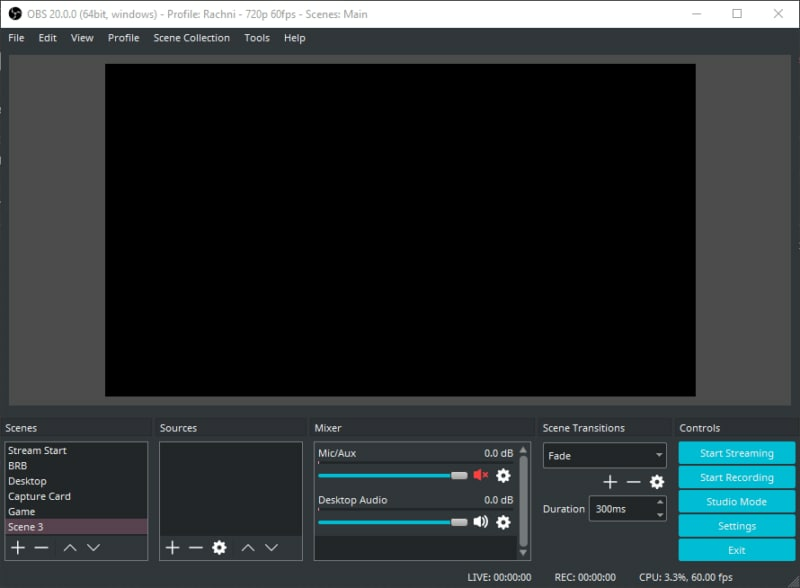 OBS Studio is one of the most famous, open source and free software that is used by millions of people as free screen recorder for Windows 10. The best feature of this software is that there is no video length restriction. It is a professional software that is used to capture the desktop videos and also provides an amazing tool for live streaming. VLC, also known as VLC Media Player is an open source coss platform that is available free of cost. 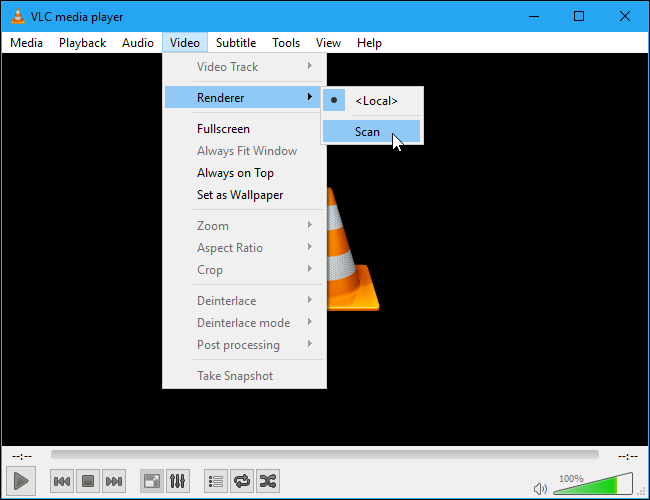 The framework of VLC is created by VideoLAN project that works with almost all the audio and video file formats along with DVDs, CDs, VCDs etc. Moreover, it is also compatible with most of the operating systems. It comes with a huge library of coding and decoding that negates the need of any additional plugins. It is competent with most of codes and there is no need of codec packs: Div, MPEG-2, H.264, WebM, etc. Though it is an excellent recorder, it lacks of powerful editing tools, and it's more like a media player. 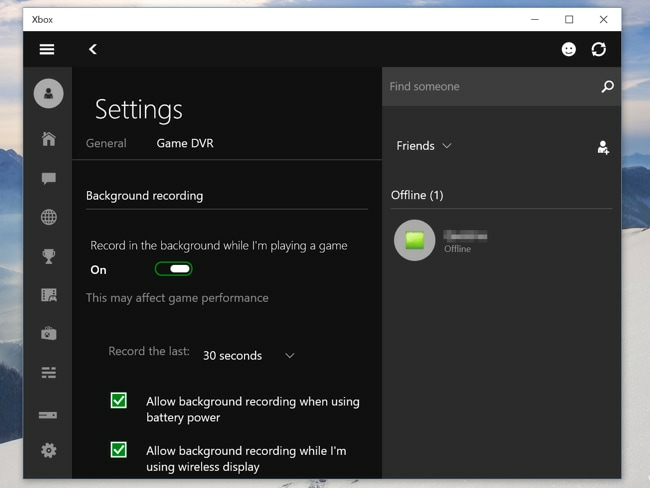 While not many people are aware of the fact that Windows 10 has a built-in screen recorder, it is there, though, with the incapability to record in high resolution. Yes, this acts as a deal breaker for some. But at the same time, if someone wants a hassle-free and easily to use screen recorder, the in-built screen recorder by Windows 10 gets the job done for you. Now, in the race of the best free screen recorders for Windows 10, comes Filmora scrn that is becoming popular among masses. Though all the above mentioned software are free to use, when it comes to their interface, it is quite old and traditional as compared to Filmora scrn. Well, let us get introduced with some of the cool and amazing features of Filmora scrn. When it comes to the creative features, it has a wide range of choices including music, transitions, various filters and overlays, text and motion element features that would make your video stand out from the rest of the crowd. Also, it has a large editing tool gallery with options of trimming, splitting and speed control. And wait, the cherry on the cake is still there. Filmora scrn offers its users exclusively creative effects at very budget friendly prices. If you don’t want to spend anything on screen recorder for Windows 10, well, you have the option to go with Filmora scrn that you can simply download and use. So, what are you waiting for? Try Filmora scrn today! Thanks for this information! This article helps. I am also using a freeware screen recorder especially when I want to share my gameplay to my friends. It is very easy to use and videos can be shared very conveniently. I use the Acethinker Free Screen Recorder Online. I just wonder why it is not included in your list. I hope next time it will.